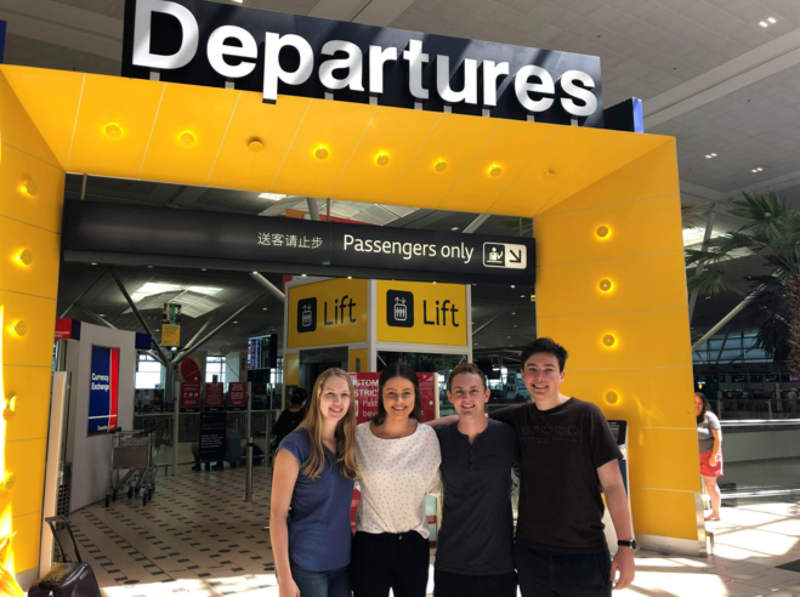 On Thursday 1 March, myself and three other QUT business students, Andrew Trubshaw, Jess Bohan and Jasmine Darvill set off to compete at the Sauder Summit, a week-long global consulting case competition. 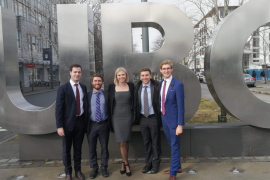 Hosted by the University of British Columbia (UBC) in Vancouver, the Sauder Summit pits students representing twelve of the world’s most prestigious business schools against each other to create solutions for real and complex business situations. The competition format involves two 5-hour cases that determine seeding for a final, winner takes all 24-hour case. En route to Vancouver. L to R: Jasmine, Jess, Myself and Andrew. Real Consulting arrived in Vancouver a few days before the case-cracking was set to begin, and were greeted at the airport by one of our International Ambassadors, Rose. Our first day was spent exploring Vancouver (and adjusting to the temperature change! ), before enjoying a well-earned rest after what was a longer than usual Thursday, such is the nature of international travel. 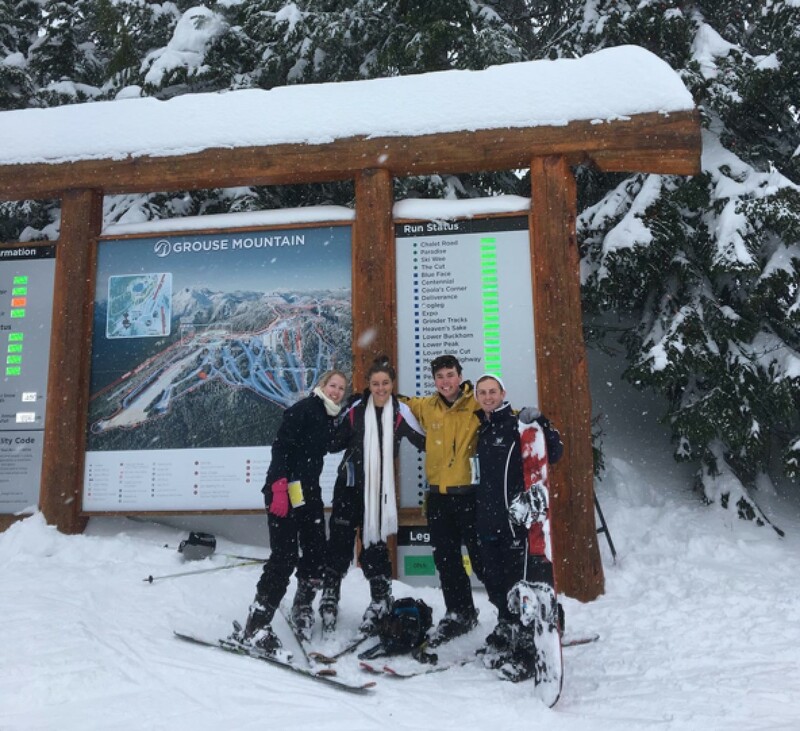 Keen to make the most of our time in Vancouver, the team woke up and decided to hit slopes at Grouse Mountain – the fresh snow providing ample protection for inevitable crash landings. After a day spent successfully navigating the mountain, we had a few hours to rest up before heading to our first NHL ice hockey game. The hometown Canucks took on the Nashville Predators and we were fortunate to meet our other International Ambassador before the puck drop, Yuna. The following days were jam-packed with social activities to mix and mingle with the other competitors and the organising committee. An awesome day on the slopes of Grouse Mountain. The eve of the competition was finally upon us, it was time to get down to business with the long-awaited competition opening ceremony on Sunday evening. The divisions for Monday’s case were announced – QUT was placed in a competitive Division B, set to take on the National University of Singapore and Maastricht University from the Netherlands. Before long we were en route to UBC for the first industry lecture of the Summit. The opening two rounds of the competition were five hour closed cases, so teams had no internet access when devising a strategy and accompanying a 20-minute presentation for judging panels consisting of academics, employees of respective businesses and UBC alumni. Case 1 related to the Tsawwassen First Nation (TFN), a local First Nations government that essentially operates in the way a local government would in Australia. Teams were presented with a moving presentation detailing a history of First Nations treatment not dissimilar to that experienced by the indigenous population of Australia. In this case, we were tasked with deciding on a long-term strategy to develop a large parcel of land owned by the TFN people in a way that aligned with their people’s core values. 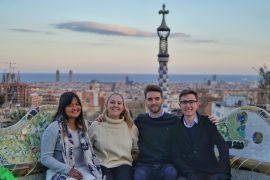 This case was a lesson in the value of good preparation, as the team was able to draw upon experience solving analogous problems and researching cultural trends in the lead up to the competition. Real Consulting presented a strategy focused on preserving the culture of the TFN while also ensuring long-term financial sustainability and growth. It was proposed that the plot of land be developed to become a tourist destination as a cultural hub and conservation center surrounded by a marina with the potential to develop a cruise terminal in the long-term. Our strategy was well received by judges, and our analysis was well commended for its cultural appropriateness and sensitivity. This result placed QUT 1st in the division with five out of a possible nine tie-break points. From the case room, it was off to a celebratory dinner with our IA’s and trusted advisor, Bill Proud, before an early night’s sleep to ensure we were ready to continue our form into day two. Ready to represent QUT Business School on the global stage. Walking into the industry lecture on day two, teams were greeted by a representative from ACL, a software company that powers governance, risk management, and compliance for more than 7100 organizations globally. Teams were tasked with providing a strategy for short-term growth in a fast-paced industry. Excited to be back in the case room, Real Consulting deduced that the best solution would be a bold and aggressive acquisition strategy, allowing ACL to enter into a previously untapped market. Upon the conclusion of our presentation, the global head of marketing for ACL commented – ‘well that was bold…’ which certainly put the team on edge as we awaited feedback. The response from the judges was glowing, with the global head of marketing commenting that not only did he feel as though he was talking with his company’s own employees but that our strategy was something ACL was highly likely to implement in the coming year. For the second day in a row, QUT came out on top, this time receiving six out of a possible nine tiebreak points! When the aggregate results were presented there was a strong Australian flavor with QUT and the University of Melbourne tied for first place with two wins apiece. Ultimately it was QUT who claimed first position, with 11 tie break points! After a successful first two days of competition, it was time to let our dance moves do the talking as competitors headed out for dinner in a city renowned for its food and a night on the town. Wednesday provided an opportunity to tick off another Vancouver icon, Capilano Suspension Bridge Park. 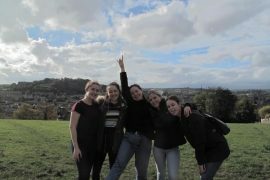 Having conquered our collective fear of heights and taking in the incredible scenery it was back to the hotel for an early night – little did we know it would be our last proper sleep for the next 24hrs. 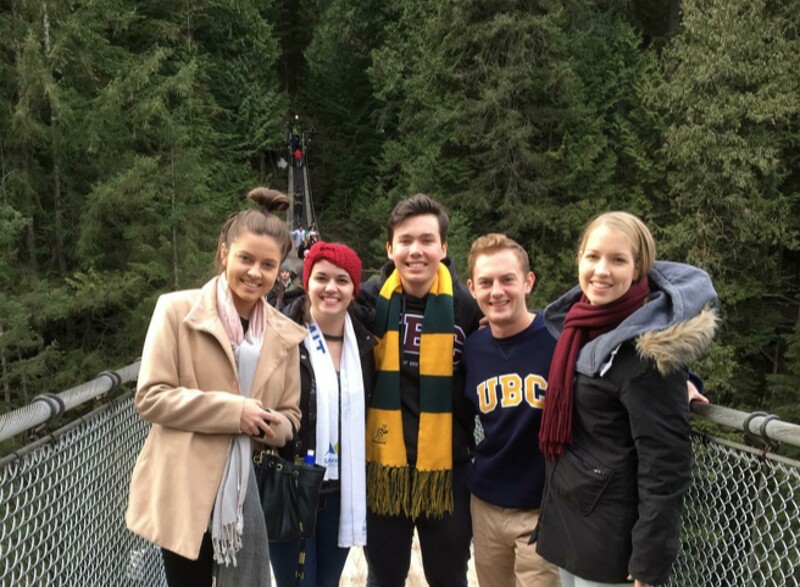 Reaching new heights and conquering fears at Capilano Suspension Bridge Park. A prompt 6am start saw the teams introduced to the final case company, Canucks Sports and Entertainment (CSE). CSE owns the Vancouver Canucks NHL franchise and the local Rogers Arena. Currently enduring a tough season on the ice, CSE was looking for an innovative solution to isolate revenues from the inevitably cyclical nature of team performance. We brainstormed a number of options before deciding on a two-pronged strategy to achieve this goal: Building a stronger connection between the fans and their players whilst also capitalising on an Asian market with an increasing appetite for North American sports. Acknowledging that what underpins match attendance is the emotional connection to the team and ‘journey,’ our first recommendation was to create an access all areas portal for season ticket holders – providing unprecedented access and allowing CSE to engage in targeted marketing driven by rich data insights. Our second recommendation involved leveraging the multicultural strength of Vancouver and potential for success in the Chinese market, evidenced by a television audience double that of the USA and Canada combined during the last finals series. Despite once again producing a solid strategy, the team missed out on a place in the final four. This was an unfortunate result given our earlier successes, but one that provided invaluable lessons for the team going forward. Ultimately it was Copenhagen Business School (CBS) that took home the win, storming into the final from 11th place on the table. Peoples’ choice Singapore Management University came in second, with National University of Singapore rounding out the medal placings. As they say, sometimes you have to lose one to win one, so watch out for Real Consulting as we compete in more competitions throughout the year! Real Consulting at the final Gala with International Ambassadors Rose and Yuna. 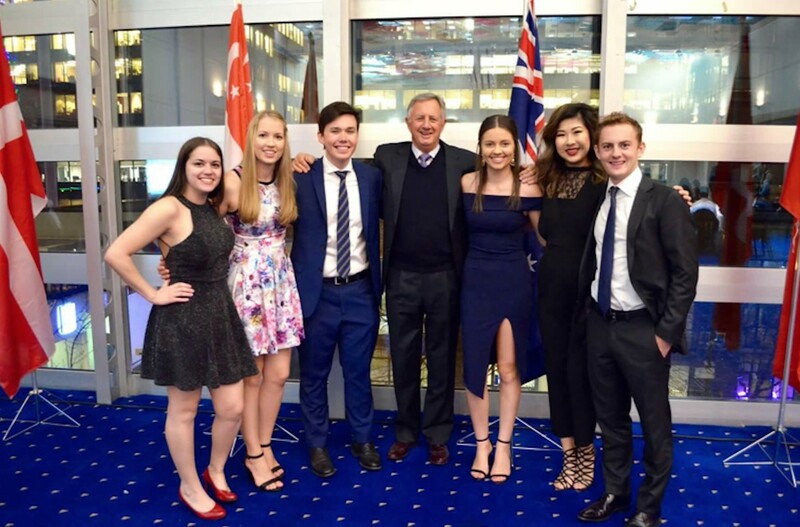 The 2018 Sauder Summit was another exceptional student-led iteration of the competition, providing an opportunity unlike any other to apply our business skills to real-world companies in an international setting, all while making global connections and lifelong friends. 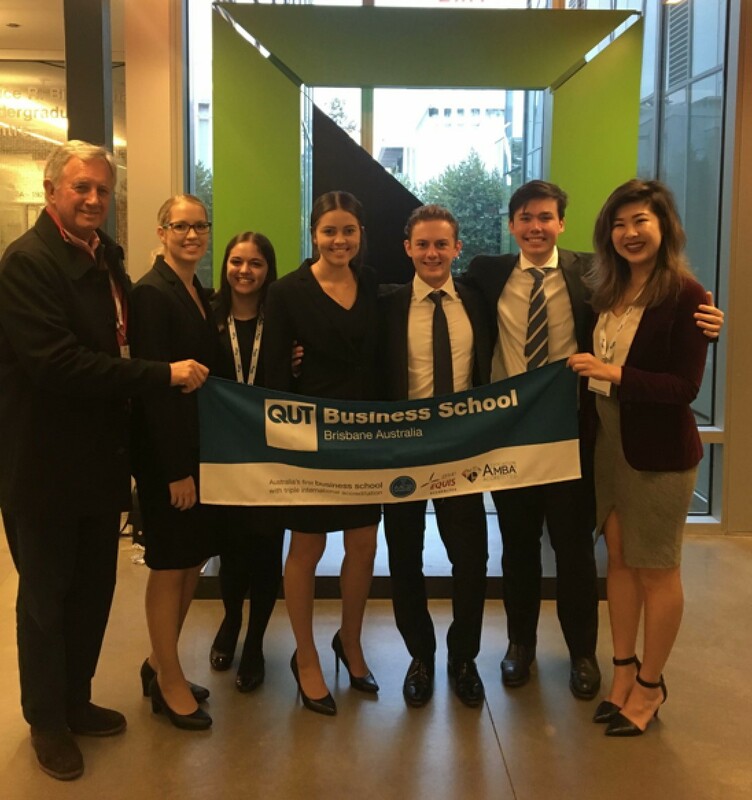 On behalf of the team, I would like to thank QUT for their continued support of the International Case Competition program and acknowledge the continued support of team advisors Andrew Paltridge, Ingrid Larkin, Larry Neale and Bernd Irmer for their instrumental efforts in making this program possible. In particular, I would like to extend immeasurable thanks to our Sauder Summit advisor Bill Proud for his invaluable guidance and unwavering support. An excellent write-up. Thank you.